Carolina Coast - Perfect Condominium at the Beach! Our Non-Smoking, one bedroom condo is only steps away from the beautiful Carolina Coast.Children are welcome. 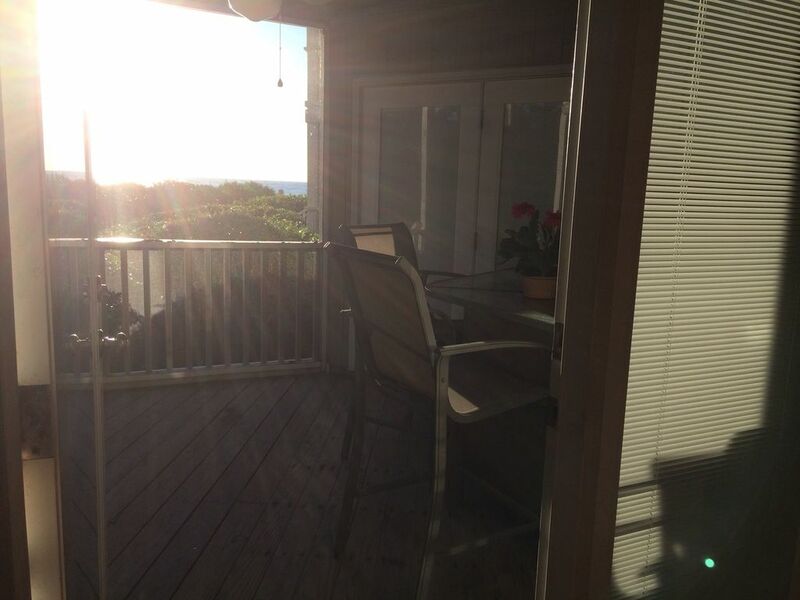 Relax on our screened porch catching views of the ocean and watch the sunrise over the horizon during your stay in paradise. Appointed in classic beach decor, our condominium is fully-equipped for a family of four to five. The bedroom has a king-size bed, a flat screen TV and opens to the screened porch. The family room has a new sleeper sofa and oversized chair,a flat screen TV and new bar stools.There is also an additional single sleeper in the foyer. Before June 1 st the kitchen will be completely remodeled with new fridge,granite counter tops and new cabinets. The bath will have new vanity and mirror, new commode and new rugs. The Bdrm has a new spread and rugs. New photos will be posted after complete. All renovations are complete. 4/24/2018. My condo is on the ground floor. It is beach side with ocean views. Only a few feet to the beach(approx. 5-6 steps) and very convenient for children running back to bathroom or to get something to eat or drink. Pets are considered . Must be pre-approved before booking. If pet is brought without being approved your vacation will be interrupted without a refund. Children are welcome.